Still need the flexibility of a door-mounted breaker? 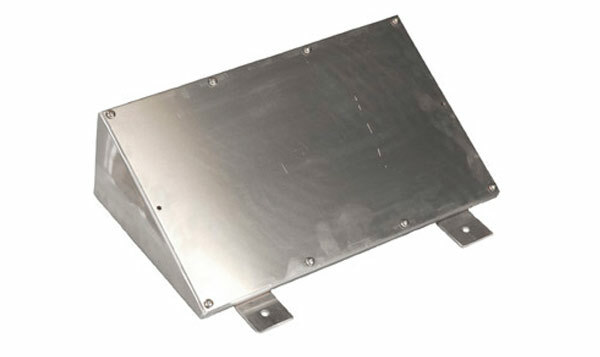 Need an add-on extension box to mount receptacles for easy access? Got holes prepped you won't be using yet? Then the BOSS Panel Hardware can solve all of your problems. The BOSS C-200 series allows you to mount molded case (FD series) or unit mount (QOU series) breakers and maintain a NEMA 4 rating. 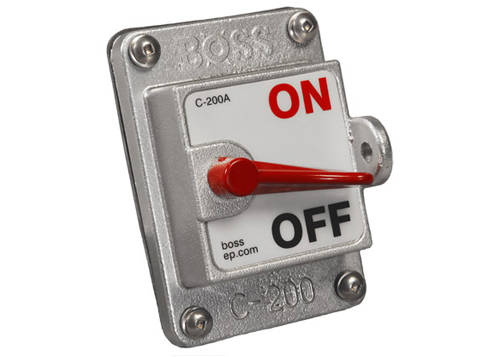 Clearly marked ON/OFF eliminates any confusion in field service, and a lockout tab keeps everyone safe. And isn't that what it's all about? "Dedication to creating the best products possible"
To Order BOSS Electrical Products contact ESCOM Electrical Distributors and talk with a ESCOM Sales Representative about any product or pricing requests you may have.